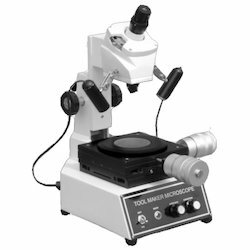 Our product range includes a wide range of toolmaker microscopes. In compliance with market norms and principles, we are actively involved in providing a broad spectrum of Toolmaker Microscopes to our customers. Provided products are manufactured and designed using premium grade basic material that is sourced from the one of the trustworthy and authentic vendors of the market. Apart from this, we are providing these products at very affordable prices within the stipulated period of time.